When you take your milk out of the fridge and smell that it's gone sour, you immediately pour it down the drain. If you happen to open a beer that smells sour, however, don't dump it out. It may be sour on purpose, and it's probably delicious. While the occasional commercial beer (and frequently homebrews) can go bad in a way that makes you want to vomit up your breakfast, an intentionally sour beer can be a delicacy. They can be mouth-puckeringly sour or just have a gentle tartness. People enjoy them for their dryness, acidity, and refreshing crispness. In fact sour beers are one of the most popular trends in craft beer. 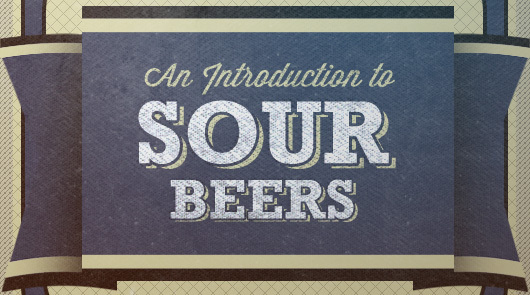 How do brewers make their beer sour? Quick beer 101 lesson – yeast is added to the beer to ferment the sugar into alcohol. Most people know that. What's not as well-known is that the yeast has a huge influence on how the beer tastes. Change the strain of yeast and you have an entirely different beer. So it's little surprise that you have these critters, as well as certain types of bacteria, to thank for the flavors in a sour beer. There are three big players in the game. The first is a type of yeast called Brettanomyces, commonly known as Brett. Brett is the destructive younger brother of traditional brewer's yeast. Winemakers fear it like the plague because if it gets into their operations it will destroy the wine. Sour beer brewers on the other hand, embrace it. Brett doesn't really produce sour flavors like you would get if you sucked on a lemon. Instead it makes funky flavors. Think hay, leather, and barnyard. The other two players are bacteria: lactobacillus and pediococcus. They are the ones that produce the sharp, sour flavors. You usually find beers made with all three because they complement each other well, but nowadays you can find beers with every combination imaginable, all contributing their own unique profile. Sour beers are hot right now, but they're anything but a new concept. They've been brewed in Belgium for hundreds of years. Simply calling a beer “Belgian” doesn't tell you much. There are rich and dark Trappist Ales, rustic Saisons, and of course, the sours. Lambics are the iconic Belgian sour. There's something especially unique about them – they are spontaneously fermented. Almost all beer is inoculated with yeast that was grown in a lab. It's pure, clean, safe, and the brewer pours a carefully considered amount into the beer. Not the case with lambics. 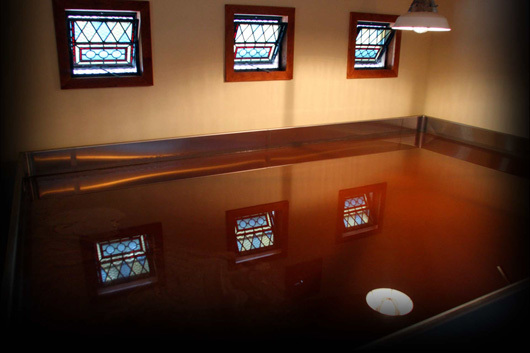 After the beer is boiled, it is transferred into something called a coolship. It's an open fermenter that looks like a shallow swimming pool. The coolship at Allagash. Notice the open windows inviting in whatever is outside. Naturally occurring wild yeast and bacteria in the air find their way into the sweet beer as it cools overnight. Then the beer is transferred to wooden barrels to ferment, where more buggy residents of the barrels go to work fermenting the sugars. This is terroir at work. If a lambic brewer changed locations it would change their beers. They don't even disturb the cobwebs for fear of disturbing the chi. The beer can remain in the barrels for years until they are sold as straight lambic or blended with younger lambics to produce gueze. Lambic brewers are really more blenders than they are brewers. If a lambic brewer changed locations it would change their beers. They don't even disturb the cobwebs for fear of disturbing the chi. It turns out that sour beers and fruit are a great combination. 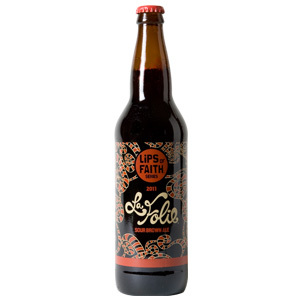 The fruit adds a depth and complexity that balances out the acidity and dryness of sour beers. Cherries, raspberries, and peaches are popular fruit additions. You may have had a fruit “lambic” beer and thought it wasn't that sour. That's because most commercially available lambics are pasteurized and back-sweetened. A popular example is Lindeman's Kriek. There are very few traditional Belgian lambic producers left. Cantillon is one of them, and their stuff will blow your mind. Their fruit lambics (and all traditional versions) aren't sweet but they retain their fruit flavor. It's an entirely different beer than the lambic imitations. As one of the beers that paved the way for sours in the U.S., it's only fitting that it was created by Belgian brewmaster Peter Bouckaert. La Folie was created in the image of the Flanders Brown style from Belgium. After spending time in oak barrels, it comes out with a complex fruit and earthy tone that will bring to mind sour cherries. A new world take on a Berliner Weisse – an ancient German style of beer. This is a good intro beer into sours and definitely the most tame on the list. A crisp tartness mingles with the peaches and creates the ultimate summer beer. Owner Chad Yakobson is a pioneer in the world of Brettanomyces brewing, and one of the few people to brew beers with 100% Brett. 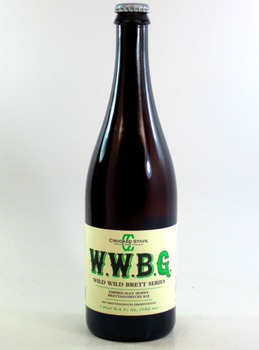 His Wild Wild Brett series showcases the wild yeast by brewing batches based on the colors of the Rainbow, ROYGBIV. For example the orange uses bitter orange peels, the green uses fresh hops, etc. RR's Vinnie Cilurzo can do it all. Not only does he brew one of the world's best IPAs in Pliny the Elder, he also makes some of the best sour beers on the planet. 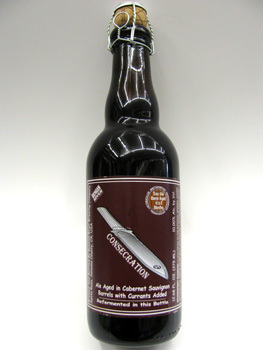 Consecration is aged in Cabernet Sauvignon barrels with black currants. It will remind you of red wine, but make no mistake, this is beer as its best. 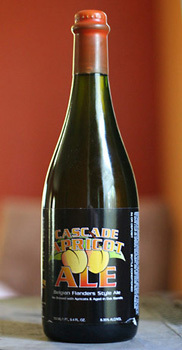 Cascade's specialty is sour fruit beers. The apricot aromas jump out of the glass in a wave of freshness. The refreshing flavor would convert even the most stubborn opponent to sours. Admittedly these beers are tough to find. Sour beers are still a niche, even in the craft beer world. They're not mass distributed in the U.S. meaning if you hear about one on the west coast you probably can't get it on the east coast. Your best bet is to find local breweries who are making sours. Go to their websites and read the beer descriptions. Look for terms like the ones I've mentioned: sour, tart, funky, Brett, wild, lacto, mouth-puckering. If you're still having trouble, try some Belgian imports like Duchesse De Bourgogne, Petrus Aged Pale, or Rodenbach Grand Cru. They are more widely available. Like bitter IPAs, sour beers are an acquired taste. The first time you try one it won't resemble any type of beer you've ever tried. They're not for everyone, but how do you know unless you try? I love sour beers. No. 1 La Folie is amongst my favorites, despite the hefty price. Great article, haven’t tried sour beers but now I have plans for the evening! Sours are amazing, and they are a bit of an acquired taste. Or, at the very least, they require an open mind. I absolutely hated the first sour I tried, but that was mostly because it didn’t taste like what I thought a beer should taste like. It was so different. By the time I reached the bottom of the pint, I still didn’t know if I liked it at all, but I knew I needed to order another. I’ve been hooked ever since. I live near Cascade Brewing, mentioned in the article. Their beer is ridiculously expensive, but it’s also amazing. Even in the beer mecca of Portland Oregon, I’d say their beer is among the best of the best. I picked up a bottle of La Folie at my grocery store a month ago and haven’t had the motivation to crack it open yet. This article is may just be that inspiration! Any pointers for serving? Or is it as simple as open, pour, enjoy? wish I could get hold of these in the uk! there’s two or three sours projects now in the UK so could be some interesting stuff coming back across the atlantic in the future. Two I’d add, as I see them more commonly in the midwest and southeast, are the Duchess (de bourgogne) and Monk’s Cafe Flemish Sour Ale. @Joel You got it – open, pour and enjoy! Also, let the beer warm up a little in the glass. You’ll be surprised at how new flavors emerge that were hidden when the beer was cold. Nice list, though a bit strange that none of the beers you do mention Rodenbach Grand Cru. This is, imo, the best Flemish Red (a type of Belgian sour beer). Sour but no lamic. Peter, I did include Rodenbach. It’s near the end of the article. Great beer.